Université de Montréal was the host of the first NIRPS Science meeting. All the scientists agreed to work together and to define clear science goals. The Final Design Review of the Fiber work package led by IAC has been held on November 22nd. This review was a success review leading to minor adjustments. The complete AO system has been delivered to Geneva. A clean bench is being prepared, and closed-loop tests should start by the end of the June 2017. UdeM group is working hard to provide a new type of Focal Plane Assembly (FPA) to receive the new H4RG detectors build by Teledyne. These FPA will be available end of July for testing. Porto, and Instituto de Astrofísica e Ciências do Espaço, were the host of the critical design review of NIRPS. NIRPS has been successfully place into orbit and final procurements are ready to start. NIRPS and SPIRou size compared ! 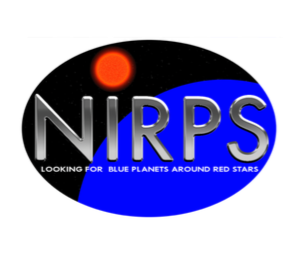 Both spectrographs NIRPS and its cousin SPIRou can be compared on this view. SPIRou will be installed on the CFHT by the end of 2017 and NIRPS on the 3.6m at La Silla in 2019.